Visibility is one of the main pillars of the Bringg delivery logistics platform. With accurate, real-time visibility into the status and location of items and drivers, businesses have the power to optimize their delivery operations to the greatest extent possible—streamlining them while improving customer experiences and brand loyalty. By harnessing the power of IoT in logistics (Internet of Things), Bringg takes its offer of full visibility and transparency to the next level. Bringg leverages the advantages of Bluetooth technology to enhance the platform’s location and status detection capabilities, allowing operations to run more smoothly for dispatchers while reducing the burden for delivery drivers. Through the use of Bluetooth beacons placed in strategic locations—for example, within a restaurant, store branch, dispatching center or warehouse—driver locations can be reported in the most accurate manner. 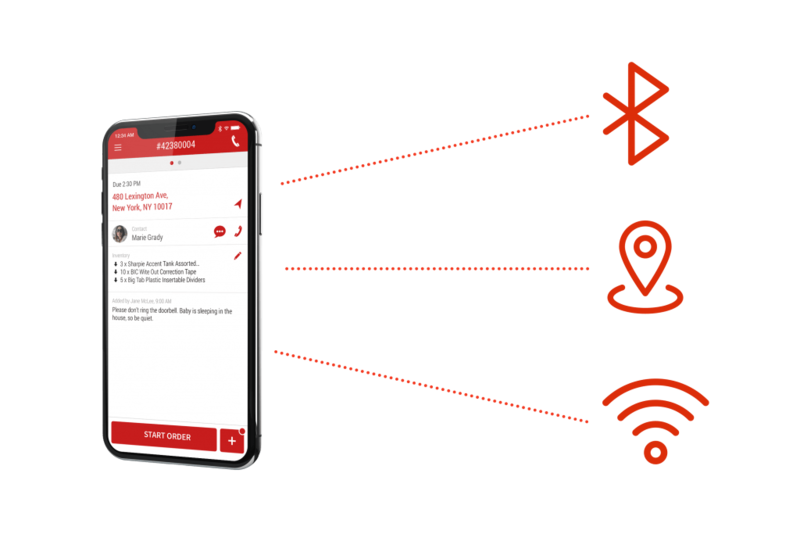 Driver mobile devices are configured to recognize these beacons, so that dispatchers are precisely informed in real-time about events such as a driver returning to a location or departing from it. This enables dispatchers to execute delivery decisions with the utmost accuracy while staying informed about the status of current deliveries. Vehicle Bluetooth devices and public Wi-Fi networks are utilized to further empower Bringg’s IoT-based functionality. Through the vehicle’s Bluetooth devices, dispatchers can see, in real-time, when a driver has left and returned to his or her vehicle, offering valuable insight into the status of deliveries, the amount of time it’s taking each driver to complete a delivery, and the driver’s progress over the course of their delivery route. Furthermore, by making use of public Wi-Fi networks, businesses maintain visibility even when drivers are delivering to large campuses (for example, to universities or hospitals) where it’s often difficult to detect a driver’s exact location. With IoT-empowered delivery logistics, your delivery operations flow more smoothly than ever—providing valuable insights to dispatchers without requiring that drivers check-in or perform any task beyond the one they need to focus on most. For further reading on related modules, check out our Live Alerts and Hands-Free Operations modules.